An Encyclopedia. An Almanac. An Atlas. 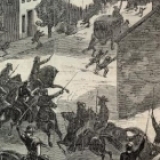 An exhaustive look at Ohio in the Civil War. 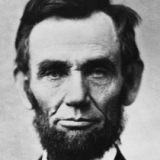 From 1861 to 1865, the United States of America was torn apart by a Civil War, divided between the North and the South, the Union and the Confederacy, the free states and the slave states. The causes of the war were many, and ran deep. 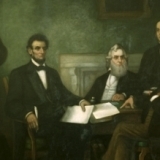 From the founding of the nation through the election of President Lincoln in 1860, the issues festered until finally South Carolina declared its independence in December of 1860. More states followed and in 1861 they formed their own nation, with their own constitution. They called themselves the Confederate States of America. 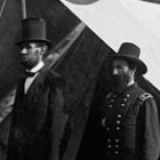 Soon after, the new President called for volunteers to come, join the Federal army and help put down the rebellion of the Southern states. From all over the Northern states, territories and even some Southern states, men of all ages volunteered. 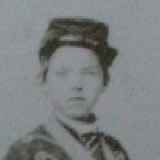 Tens of thousands of Ohioans answered the call, including 10-year-old Gilbert Van Zandt, and by the time the war ended in 1865 more than 310,000 had served their country, fought against their brethren, and helped to restore the Union of North and South. 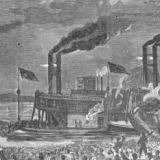 When the war first broke out in Charleston Harbor on the morning of April 12, 1861, many people on both sides thought it would end quickly. Very few foresaw the bloodshed that would occur, and even fewer realized the havoc and atrocities that advances in weaponry would wreak. 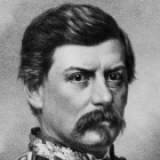 Initially, the Confederate forces held their own, and even managed to embarrass the Union army on more than one occasion. 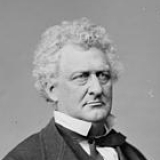 Hampered by indecisive leaders in the Eastern Theater, the Union army failed to subdue the Army of Northern Virginia, led by Robert E. Lee. 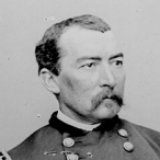 But in the Western Theater, the Union armies were led by men who understood war and were decisive. 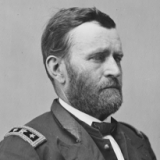 In July of 1863, the war turned in favor of the North when Lee was repulsed in the bloodiest battle that has ever taken place on American soil -- Gettysburg -- and control of the Mississippi River was won when Vicksburg fell to Union forces led by a man from Ohio -- Ulysses S. Grant. 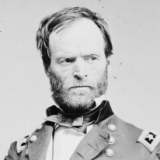 Grant would go on to lead the Union army to victory in the war, but he had help from other Ohioans, namely William T. Sherman and Philip Sheridan. 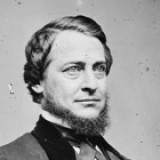 When it was all said and done, right or wrong, it was Ohioans who made the tough decisions, implemented the crippling strategy and eventually exhausted, outlasted and demoralized the Southern armies. 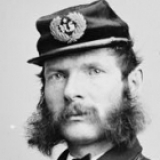 Ohio Civil War Central has been developed as a way to document the contributions of the brave men from Ohio that volunteered to serve their country at time of great division, of great unrest, and an upheaval that changed the course of this great nation. We invite you to explore this site, which will continue to grow and expand over time as we work to develop the most comprehensive, authoritative resource covering the impact of Ohio on the outcome of the Civil War. 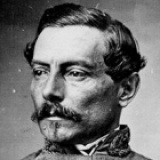 Events from this day in history related to the American Civil War. The most recent entries that have been added to the Encyclopedia. New additions to the Encyclopedia image collection. You can help support Ohio Civil War Central's ongoing development by purchasing books, like the ones below, from Amazon.com.